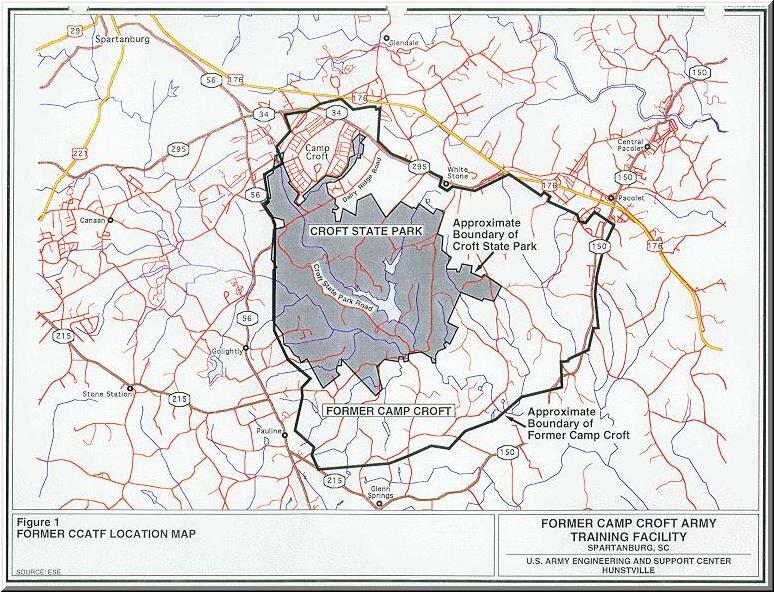 This image shows a US Army Corps of Engineers map of the "Former Camp Croft Army Training Facility". There isn't much detail but it does provide an interesting view of the boundries on a modern map. Click on this image or here to see a better copy.